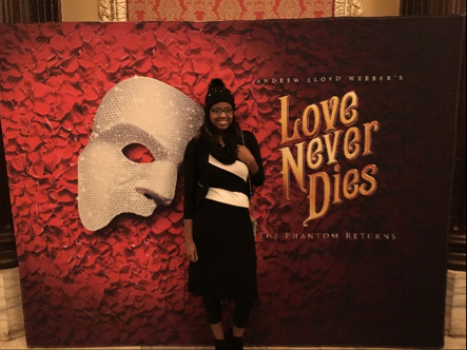 Much to my elated surprise, one of my Christmas presents this year was a ticket to see the sequel to the famed Broadway musical Phantom of the Opera, Love Never Dies at Playhouse Square! I recently learned how cultured and expansive Cleveland’s art and culture scene really is (close to New York’s), so I was so excited to see my absolute favorite play’s sequel in the beautiful State Theatre. I’ve loved The Phantom ever since I was in middle school and saw the play at the Stranahan Theatre and Great Hall in 2016. I was completely blown away by the production (literally cried multiple times). Love Never Dies had a lot to live up to, but it did not disappoint. We got our seats which were surprisingly close to the stage. Only about 10 rows were between us and the production. My boyfriend (who is white) and I joked about being high society as we were a young interracial couple surrounded by many older white audience members. Especially in the rows closer to the stage. Excitement obviously filled me as the play started. While the plot was a little over the top, the music (which is my all-time favorite part of musicals) was amazing and catchy. The characters and acting were excellent and often comical. The set and costumes truly had me feeling like I was in the early New York era setting. Another amazing fact about Playhouse square is their bathrooms. I was so uncomfortable during the first half because we had dinner (and many drinks) at Nuevo Modern Mexican and Tequila Bar across the street and I needed a bathroom. There are a million bathrooms under the state theatre at Playhouse Square!!! Even with a long line, I was in and out within minutes. I was very pleased. 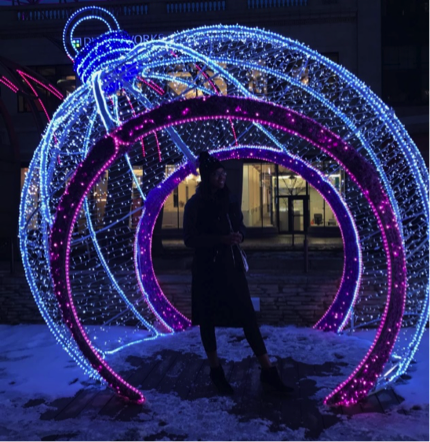 The play wrapped up with some surprising and unexpected twists and turns. We were both excited and please with what we saw. But, it will never beat the original Phantom.